In a memorable early scene from The Dark Knight, Gotham gangster Gambol (played by Michael Jai White) is enjoying a nice game of billiards when some enterprising local criminals, intent on collecting a bounty, arrive with the apparently dead body of Heath Ledger’s Joker. Of course nothing is ever as it seems with The Clown Prince Of Crime, and so the Joker jumps to life, sticks a knife in Gambol’s mouth, and gets to speechifying about his scars. When he’s done talking the camera cuts to one of Gambol’s henchmen wincing before showing Gambol’s lifeless body drop to floor. The audience is left to assume that the Joker has killed Gambol in appropriately cruel-yet-whimsical fashion. Some viewers, however, have not been content to assume, and indeed the scene is a little confusing: If the Joker had his knife in Gambol’s mouth, how did he manage to deliver a killing blow, seemingly instantaneously, without Gambol even making a sound? What, exactly, did the Joker do to Gambol? 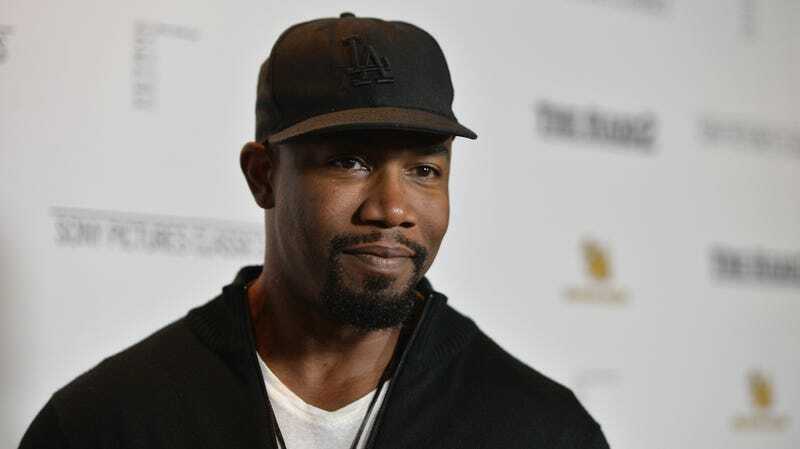 In a new interview, The Hollywood Reporter has asked Michael Jai White just that, and while he has an answer, it probably won’t satisfy many fan-theory types on Reddit. Basically, White says he doesn’t know how Gambol is supposed to die, because Gambol wasn’t supposed to die. Per White, the character of Gambol was merely intended to get a Glasgow smile of his own from the Joker, setting up a more substantial character down the road. Following the death of Ledger, however, Gambol running around with Joker scars probably wasn’t going to be a viable story option in future films. The first time White learned about the death of his character was when he attended the film’s premiere. Though initially shocking, White says that as a director and producer himself, he understands that filmmakers make the decisions they need to make. As for the details of precisely what the Joker did to Gambol, that information will have to live only in the imaginations and elaborate mouth-knife-floor diagrams of fans. Check out the rest of the interview over at The Hollywood Reporter.